Westport House Caravan and Camping Park is one of Ireland’s premier caravan and camping destinations, located in the heart of Westport by the majestic expanse of Clew Bay where pirate queen Grace O’Malley once ruled the seas. Set against the backdrop of 18th century cut stone stables (one of the most extensive heritage farm yard buildings in Europe) and the lush canopies of lofty oaks and birch, our caravan and camping park offers guests access to a choice of spotless facilities and a safe, picturesque environment for relaxation, exploration and play. Kick back and enjoy live music in the evening at Gracy’s Pizzeria and Bistro and order from a comprehensive menu of the best of Irish fare, including scrumptious wood fired pizza. Gracy’s also offers meals throughout the day. April Open from April 12th onwards. Campsite reception open from 9.00am to 6.00pm. June Open daily - office open from 9:00am to 6:00pm daily. July Open daily - office open from 9:00am to 9:00pm daily. August Open daily - office open from 9:00am to 9:00pm daily. September Open daily until September 15th. Office open 9:00am to 6:00pm. Site closes for season from 16th September onward. Westport House Caravan and Camping Park offers a truly unique and enjoyable family holiday experience. Mums and dads can unwind with a cup of tea at their pitch and watch the kids chatter happily with new friends in the central sand play pit. The whole family will be delighted with our extensive range of FREE onsite activities including spectacular parklands and historical features, a colourful outdoor playground and sand pits. Our farmyard activities located right beside the caravan and camping park include table tennis, a recreation room with movies, games and a jukebox, and the Pirate’s Den indoor soft play area*. Families with kids under 12 will love our Pirate Adventure Park, bursting with exciting attractions including the Pirate’s Plunge Log Flume Ride, the Cannon Ball Run slide and the Pirate Queen Swinging Ship. Save up to 20% on tickets to our award winning attractions when you book your camping holiday online. When the day is done and it’s time to turn in, sleep restfully knowing that safety and security are key priorities in our caravan and camping park with night time security and a family-focused midnight curfew giving our guests total peace-of-mind. Book your camping holiday online and save up to 20% on tickets to our award-winning visitor attractions! Indulge in some of Ireland’s most diverse and exciting attractions, all located on the one site at Westport House Estate. Tour Ireland’s most beautiful historic home dating back to the 1500’s when Grace O’Malley first built on of her castles here. With 30 rooms open to the public, tea rooms, six fascinating exhibitions and more, Westport House is an historical marvel not to be missed. An awe-inspiring wonderland for children under 12 featuring rides, slides, giant swan pedaloe boats, trains, a bouncy castle, go karts and more! Heighten your senses with a selection of activities! Cycle and walk the new Greenway – enjoy the very best of the outdoors with a brand new off-road cycling and walking trail through the Westport House Estate that connects with the Great Western Greenway and Westport Quay. Take in striking views of Westport House, Westport Harbour and scenic woodlands. Rainy day? No worries! Scoot yourself on down to the Hotel Westport leisure centre and enjoy a splash about in the pool, a soak in the jacuzzi or a steam or sauna. Our Caravan and Camping Guests get a discount too in the Ocean Spirit Leisure Centre. Unhappy, tired feet after all your walking at Westport House? Why not treat them to an amazing spa treatment at Senses Spa at Hotel Westport? Guests can book their treatment by calling the Spa directly on 098 50008 or by calling the Hotel on 098 25122 (Spa bookings can be taken from 8am – midnight) or booking online here. Please bring your dog’s vaccination certificate and certificate for Kennel Cough, which should be stamped by your vet and up to date. 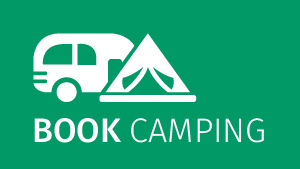 Commercial vehicles are not permitted to stay at Westport House Caravan and Camping Park as it is a designated leisure park. Only purpose built or adapted live-in vehicles (those with in-built kitchens and toilet facilities) can be accommodated on site.